When buying new or used BMW, you expect it to fulfill your expectations. Same way we understand the importance of correct servicing and maintenance of your BMW. With Autologic tool platform which provides bespoke BMW technical support, KMK Autos became an established independent BMW specialist in Croydon area. 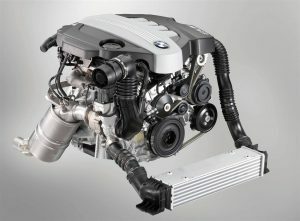 At our BMW/ MINI specialist garage in Croydon, we use BOSH and MAN filtration. Both brands have been manufacturing original BMW parts for decades. We also stock Castrol Edge and Shell Helix oils – both has BMW Long Life 4 certificates. During each service an OE (Original Equipment) part number is established and cross-referenced to our stock of service parts. 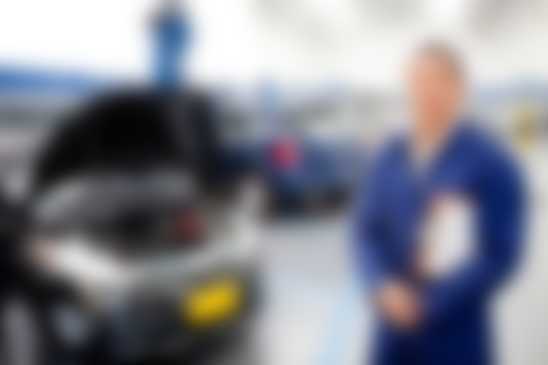 Service scheduled procedures are checked and matched with BMW manufacturer’s recommendations based on vehicle’s age, mileage, type of service intervals etc. If customer demands filters and parts to be original , we have no problem with that. On average Full and Major servicing cost increases by £50,- using BMW & MINI supplied filters. Worrying about having KMK stamp and not BMW one as it might decrease resale value! ?- It is a Myth rather than the Truth. At KMK all service history together with invoices containing list of parts, named labour procedures, technicians notes and remarks are stored on our data base and available at any time to current or new owner of BMW. Automated Service and MOT reminders are sent out to each BMW owner every year for free of charge, one month in advance, so you could plan and book in advance at your convenience. We do use our dedicated BMW/MINI service stamp & we are an account holder of BMW OSS ( Online Service System). This is how we remain the most local BMW Specialist in South London for our clients. With FULL or MAJOR Service we have vehicle collection and delivery service available for a set fee of £24,- ( max 4 miles distance, subject to availability, Terms and Conditions apply). BMW Service pricing table of most popular BMW models. If your model is not listed, please call us for a quick quote. Here you can see BMW Service pricing table of most popular BMW models. If your model is not listed, please call us for a quick quote. If your BMW highlighted “INSPECTION DUE” , this means your car’s condition needs to be checked by a vehicle technician. Inspection typically takes 1 hour to complete and all major systems like brakes, suspension, drivetrain are inspected. Any issues found are reported to the owner together with required repair estimate. Similar Inspection is carried out during any FULL or MAJOR BMW Service together with maintenance procedures. However if the owner of BMW decides to stick to CBS (Condition Based Service) then frequency of visits to the workshop increases as all serviceable components have different due date and mileage which is calculated by vehicles integrated system. CBS servicing ensures that no parts are replaced to early at the same time not to late. If you own BMW fitted with N47 engine and mileage is close to 80,00,- 100,000 miles, we strongly advice to get your car timing chain checked. Call our team on 02086898088 for advise or submit quote request by clicking here. KMK Autos invested in Autologic BMW tool – the only tool, capabilities of which meets and exceeds original BMW diagnostic tools used by BMW and MINI Dealerships across the world. This investment helped us to remain one of the Top BMW specialist in London and Croydon area with so much needed additional features like module updates for latest BMW & MINI, programming, coding and adaptation procedures. Autologic BMW is a genuine alternative to ‘GT1’, ‘SSS’, and ‘ISIS’, often providing quicker diagnostics, coding and programming than other BMW factory diagnostic tools. 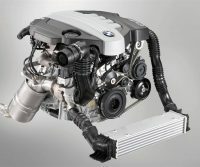 Additional features of Autologic BMW tool include fitting aftermarket components and an increased number of retrofits. Plus we do offer BMW performance remapping for most BMW and MINI cars. From faulty wheel bearing to rattling engine timing chain – at our BMW garage in Croydon South London we offer professional technician service for your BMW & MINI at affordable £60,- hourly rate. Best part of used BMW cars these days are sold by car traders with third party warranty for random period of 3 months up to 2 years attached as a deal. These warranties can be helpful but they’re not perfect from our point of view. Car breakdown cover service providers do know most costly and most common issues occurring to certain BMW models. Most of the time these are cleverly excluded from “what’s covered” list. We do work with all major warranty providers – just give us a call and we explain exactly, how it works.